In 1970 when it entered service, the Boeing 747 Jumbo Jet was the largest commercial airpliner ever built. No wonder the airlines quickly saw the potential of a cargo version. 73 747-200Fs were produced as new aircraft until 1991 when the -400F replaced it. 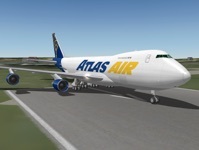 This x-plane reproduces the -200F in three variants with different engines and weight specifications covering the range of freighters produced during the production run. 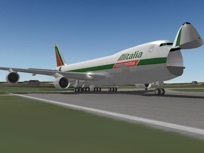 Evergreen International AIrways introduced a firefighting variant of the 747, the supertanker. This is capable of carrying 20,000 gallons of water or fire retardant and ejecting it under pressure through four nozzles which extend from the lower rear fuselage. 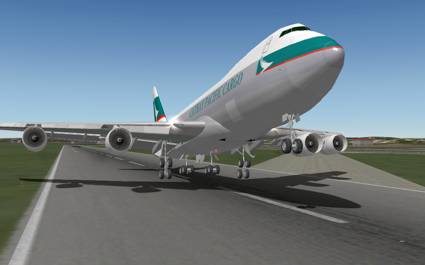 All modeled in X-Plane.